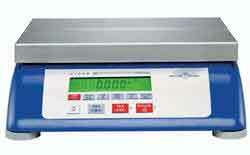 Industrial Electronic Digital Floor Scale. 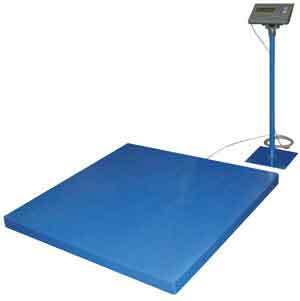 Easy Rack's low profile digital floor scale is only 3-1/2" off the floor, allowing easy loading and unloading of heavy equipment weighing up to 5,000 lbs. Durable design has a steel diamond tread-plate top surface. 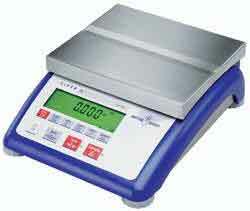 The LCD digital display stands 42" high and meets US standard 99-054 and Canadian standard AM-5318. Optional Approach Ramp for pallet truck accessibility - order two for drive-on, drive-off convenience. Easy Rack carries a wide variety of commercial shelving, material handling equipment, commercial lighting, used pallet racks, commercial christmas lighting and modular buildings installed nationwide. If you can not find what you are looking for call us toll free at 1-888-776-3720 and we will find it for you. Our home office is located in Houston, Texas with regional distribution centers located in all 50 States including New York NY, Los Angles CA, Miami, FL. Chicago, IL. Denver CO., Dallas TX, San Antonio, TX, Austin, TX, Boise ID, Atlanta GA, Albuquerque NM, Raleigh-Durham NC, Washington DC, Albuquerque NM, Huntsville AL, Fayetteville AR, Norfolk VA , Madison WI. Loading Dock Equipment, Drum Handling Equipment, Fork Truck Attachments, Gantry & Jib Cranes, Industrial Digital Floor Scales, Industrial Fans, Heaters & Blowers, Industrial ladders, Loading Dock Equipment, Miscellaneous Material Handling Equipment, Packaging Equipment, Pallet Trucks & Pallet Jacks, Scissor Lifts & Work Tables, Steel Dumping Hoppers, Utility Carts,Steel Security Folding Gates.